Margaret Perry grew up in Wetaskiwin and started dancing when she was four years old. By the time she was eleven, she had founded the Wetaskiwin School of Ballet and was teaching dance to other Wetaskiwin youngsters. 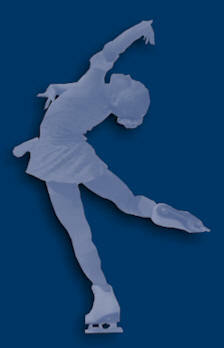 Margaret completed her early training in ballet and modern dance in Edmonton. She danced professionally in many musicals and light operas. Further advanced teacher training at the National Ballet School of Canada allowed her to complete her International Cecchetti qualifications and she holds her Cecchetti Licentiate from the Imperial Society of Teachers of Dance. Through the years Margaret’s passion for dance propelled her to pass her love for dance on to others. She founded dance schools in Edmonton and other Alberta centres, developed training programs and syllabi for dance teachers, was a founding member of Alberta Dance Educators, has served on numerous boards, has lifetime memberships in many Dance Societies and has received awards for her contributions. Many of her graduates have gone on to careers as professional dancers and teachers. Her expertise and influence have extended throughout Canada and around the world. The Wetaskiwin School of Ballet was established by Margaret in 1954. 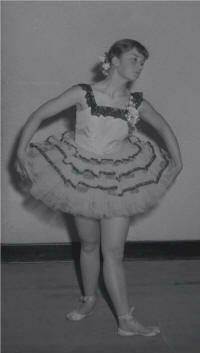 Margaret taught in Wetaskiwin until 1967 when she moved to Edmonton and founded the Edmonton School of Ballet. During the 1960’s she also founded dance schools in Beaumont, Fort Saskatchewan and Camrose. While teaching in Wetaskiwin Margaret established a series of syllabi for recreational ballet students ages four to twelve. More recently these were expanded for ages thirteen to eighteen. These publications are used throughout Canada, England, Japan and Mexico. In 1984 Margaret founded the Edmonton Festival Ballet Company. Teachers that Margaret has trained have founded schools in Red Deer, Fort MacMurray, St Albert, Vermillion, Coronation, Rocky Mountain House, Vegreville, Meadow Lake Saskatchewan as well as schools in BC, Ontario, Japan, Mexico, New York and other American cities. In 1995 Margaret established a professional dance training program for Edmonton Public Schools, the Vimy Ridge Academy Professional Dance Program. Students in grades 7-12 are accepted into this program by audition. Graduates of Margaret’s dance schools have become professional dancers for Canadian companies that include: Alberta Ballet, Royal Winnipeg Ballet, National Ballet of Canada, Ballet Jorgen, Pacific Ballet, Ballet BC, Toronto Dance Theatre, Winnipeg Contemporary Dancers, Les Grande Ballet Canadien, Decidedly Jazz as well as International Companies including: Ohio Ballet, Cincinnati Ballet, Ballet Austin, Garden State Ballet, Hubbard Dance, Royal Ballet to name a few. Also her trained dancers have been in numerous musicals and productions companies such as “Lion King”, “Bette Middler Show” and on cruise ships. Two of the girls she coached when she was in Wetaskiwin became professional dancers, one with the Toronto Dance Theatre and the other with Les Feux Follet. 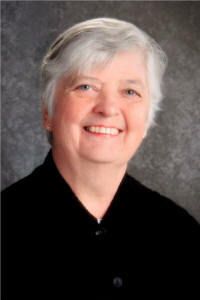 Margaret was a founding member and council member for the Alberta Dance Educators. She was also a board member of the Alberta Dance Alliance. As well, she was elected and served on the National Council of the Cecchetti Society of Canada for three terms. Margaret has been an adjudicator at dance festivals throughout western Canada including the Provincial festival in British Columbia. She has also been a choreographer in numerous operatic ballets, full length story ballets and television productions including “Synergy” for the Alberta Government for the Alberta Pavilion at Expo ’87 in Vancouver. Additionally, Margaret was the field coordinator and trainer for dancers in the opening of Universiade ’83 in Edmonton. In recognition of her dedication to the arts and community service, Margaret has received numerous awards. In 1983 she received a City of Edmonton Cultural Achievement Award. In 1987 she was awarded the YWCA Tribute to Women Arts and Culture Award. For her service Margaret has been given Lifetime Memberships in the Alberta Dance Educators, the Cecchetti Society of Canada and the Imperial Society of Dancing, Cecchetti Branch in London England. Margaret has dedicated her life to dance and continues to be the owner and Artistic Director of the Edmonton School of Ballet. Her contributions to the world of dance in Wetaskiwin, in Alberta, in Canada and around the world have benefitted thousands. We applaud Margaret’s contributions, her achievements, her dedication, her generosity in giving to others and her passion for dance. We are proud to induct her into the Wetaskiwin and County Sports Hall of Fame. Read the introductory comments made by Sandy Wright when introducing Margaret Perry Flynn.